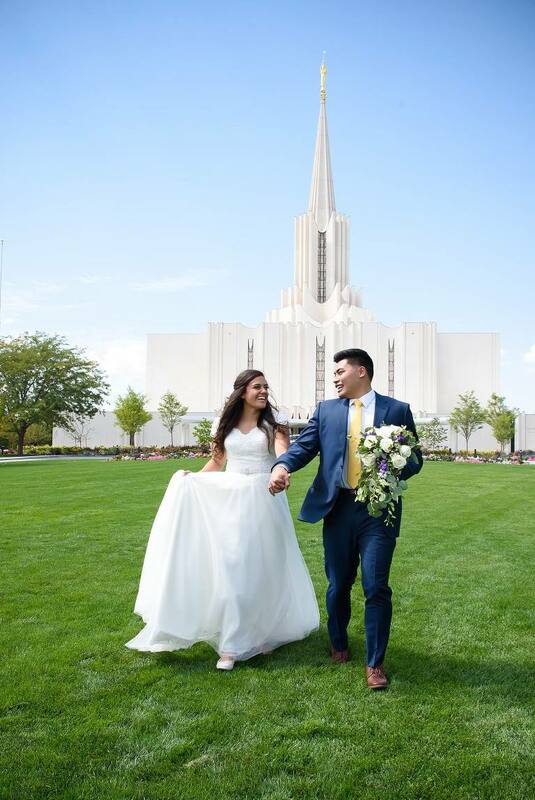 Storm and Dailyn were married on a beautiful summer day at the Jordan River Utah Temple. I had the privilege of capturing their day with my friend Rachel from Kylee Ann Studios. 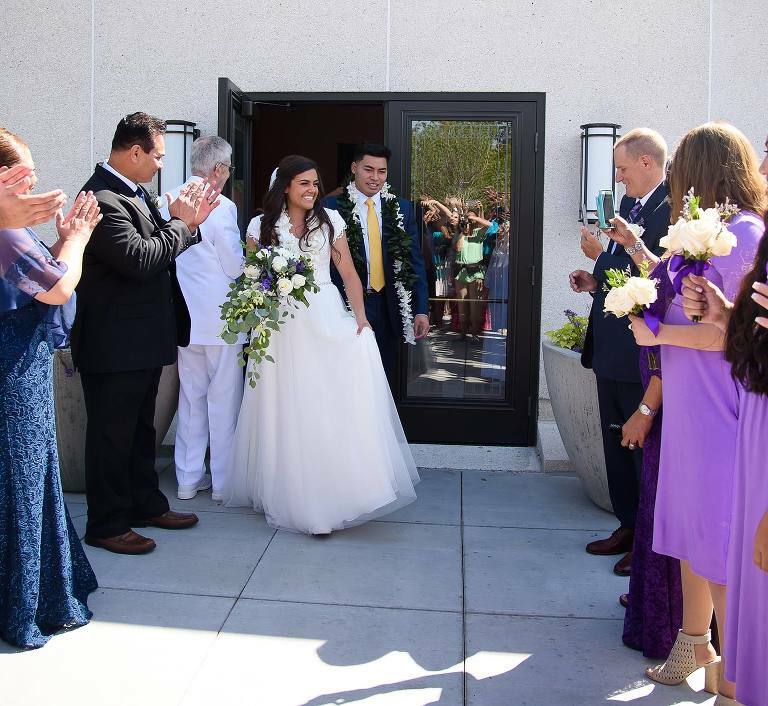 I love the new door in the back of the temple for brides and grooms. I also loved her dress from Elizabeth Cooper Design. They are both student athletes at Brigham Young University. Storm is on the volleyball team and Dailyn is on the track team. Storm proposed at the top of Y mountain on the last day of classes. After they got to sit and look over the valley and dream about their future. 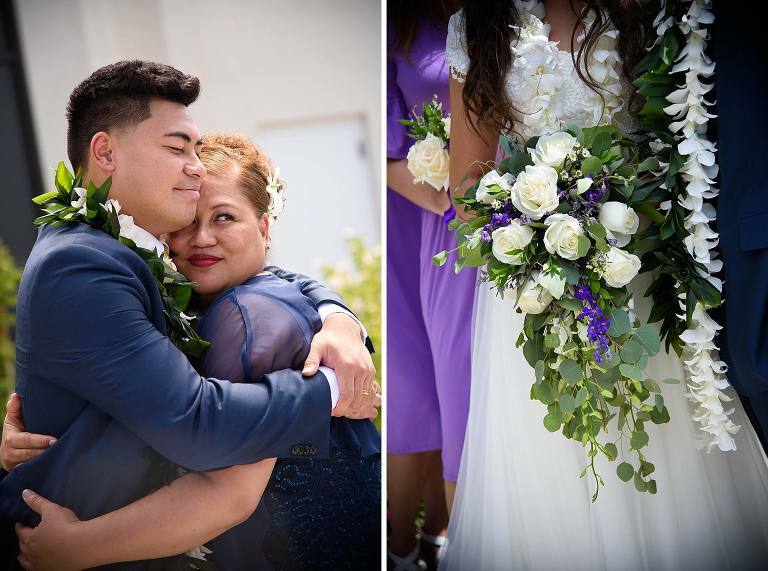 These two are both of Samoan heritage — I loved all the extra flowers they got to wear. 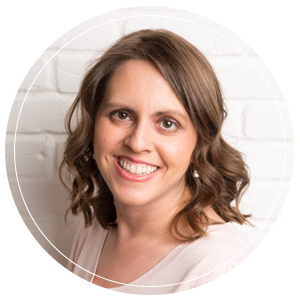 Dailyn is also related to the Johnson/Holt family that donated the land to the church that the Jordan River Temple was built on. This temple was especially meaningful to her since it used to be her grandparent’s farm. It was a pleasure working with these wonderful families. 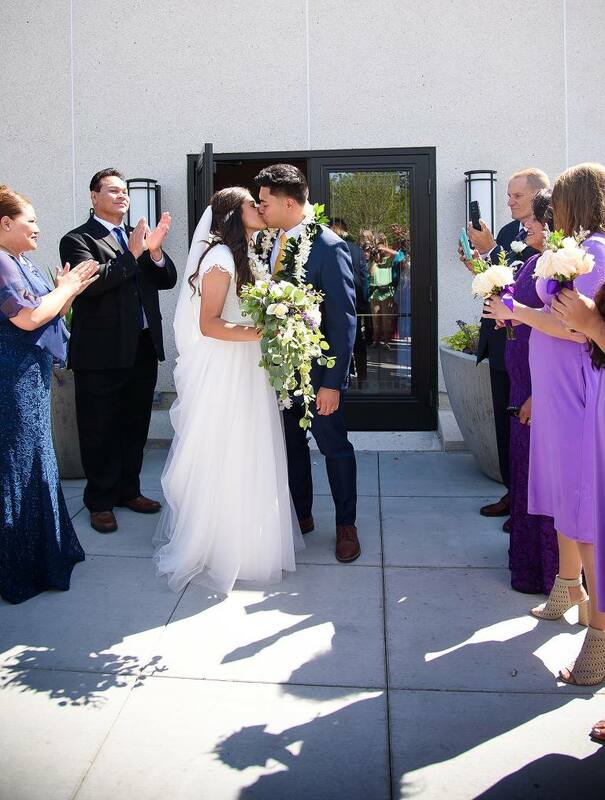 Congratulations on your new life together Storm and Dailyn! To see more wedding days click here.